Have you ever dreamed of perfect shape, flexibility, balance, and unbelievable strength of an Olympic Gymnast ? Do you want a strong core, improved mobility and fewer injuries ? World of elite gymnastics still remains completely separate from everyday people, making knowledge of their training regime very rare to come across. Lean Shapes Personal Training offers to you this unique knowledge through step by step gymnastics strength and conditioning programme, that will take you through the foundation of gymnastics strength training and lead you to the impressive feats, top fitness, and the perfect body. WHY GYMNASTICS STRENGTH TRAINING AND CONDITIONING ? What makes gymnastics strength and conditioning training different from an average gym workout is unique methodology, and philosophical approach in creating not only strong but also a functional and freely-moving body. We were all born with natural ability to move and perform. Just look at those kids resting in the squatting position for hours without complaining about knee pain. 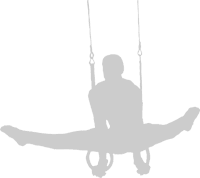 Look how gracefully they move across the monkey bars, with enough strength to perform one arm hangs. What is the point in half squatting these 200 kgs if your knees hurt every time you get up off the couch ? What is the point in doing fifteen half pull-ups if you can’t do one with the full range of motion ? Gymnastics step by step approach creates and recreates flexible, balanced, and injury free physique that will carry over to nearly every activity out there. Whether you’re a beginner or advanced fitness junky, gymnastics strength training can be of benefit to anyone engaging in conventional gym workouts. Newbies and advanced lifters will find this kind of approach to be a great tool helping to build up an impressive base that will carry over to Deadlifts, upper body Pulling exercises, Squats, Olympic Lifting, to name a few. Flexibility, mobility and other conditioning drills will have an excellent transferability to classes or any kind of activities involving coordinated movement. Finally, apart from building impressive skills and being a great base for other movements, properly designed gymnastics strength training regimen is also able to generate a considerate amount of muscle…And the beauty of this style of training is that it involves very little to no equipment at all.